TV show Blue Peter has asked children to make a basic Brexit plan and send them in, with the best ones going to Parliament to be voted on. Presenter Lindsey Russell demonstrated how to draw a Brexit deal with felt tips, or make one from washing-up liquid bottles, kitchen foil and double-sided sticky tape. She said: “The best Brexit plans will be sent straight to the world-famous House of Commons, right next to Big Ben, where people called ‘MPs’ will put them through a series of ‘indicative votes’. “If your plan’s good enough it could go all the way to becoming law and shaping our relationship with our neighbours for decades to come. “You’ll be invited on the show to meet Speaker of the House John Bercow and you’ll get a very rare ‘I Had a Plan for Brexit’ Blue Peter badge. 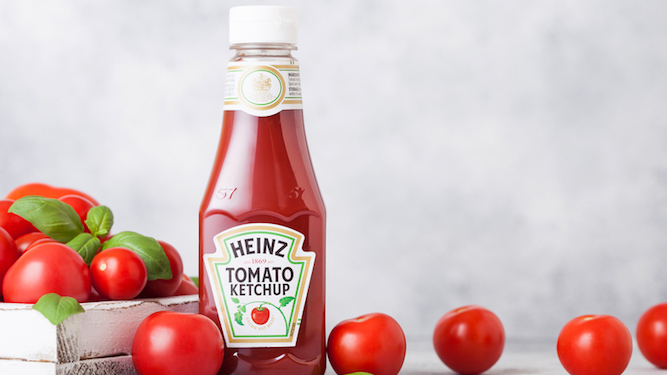 THE watery bit in the top of every bottle of tomato ketchup is put there just to spite you, it has been confirmed. While all brands use a different recipe, all of them deliberately add up to 5ml of brackish liquid solely to piss you off. Roy Hobbs of the Association of Ketchup Producers said: “We sent a man to the moon, do you not think we could make tomato sauce without the little bit of water in? “We put it there out of malice, and malice alone. All you have to do to avoid it is shake the bottle, but you can’t be bothered, can you? Ketchup water punishes the idle and the wicked.